I just turned off badge icon notifications to all social media apps on my iPad. At this information and social media age, it’s becoming hard to focus. Not only from notifications but also from the outrageous amount of choices to read. 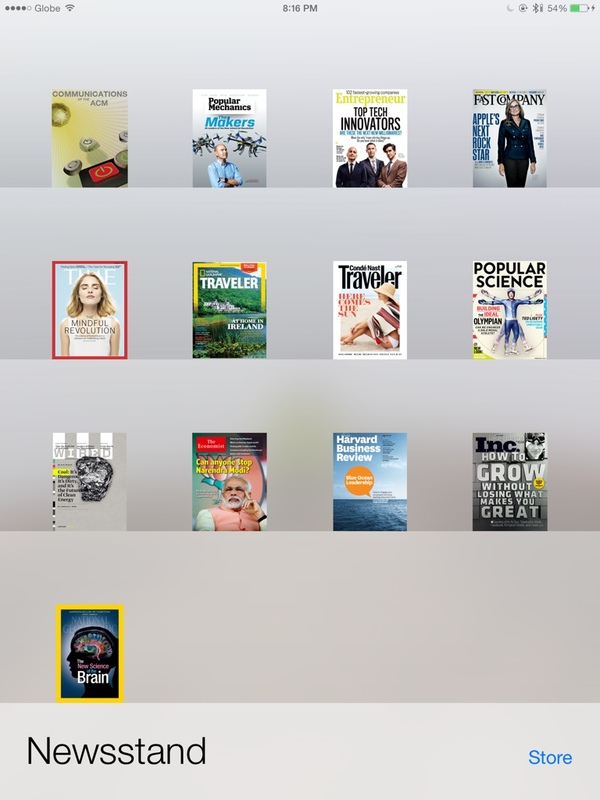 Newstand has the following Mags on queue. Further, it’s no longer just text that’s consumable online, there are also subscriptions to, YouTube and Vimeo. Such is the life these days, constantly at the mercy of information. On a good side, i’m actually happy that i exclusively (most of the time) access these information on my iPad, since if i want to turn it off, i just put it down. In fact, that’s what i’m going to do now. Put this iPad down, and head on to shop some games on the PS3. Yet another place with growing choices of content, and more lost time from living this life.